How do the European Parliament (EP) and its corresponding committees actually work? In this section I want to give you some insight into the Parliament’s functioning as well as into my everyday work. Every member state of the European Union has been allocated a specific number of seats in the European Parliament. This number varies between 99 seats for Germany and five seats for Malta. Since 1979 a general election has been held every five years, where the Members of the European Parliament (MEPs) are directly elected. There are currently 751 MEPs from 28 member states. The functioning of the European Parliament crucially depends on the MEPs’ affiliations with political groupings. The individual member states’ MEPs belong to a European political group according to their respective membership of national parties. As a member of the Social-Democratic Party of Germany (SPD) I thus belong to the Group of Socialists and Democrats (S&D, Progressive Alliance of Socialists and Democrats in the European Parliament). There are currently seven political groups in the European Parliament (EP). Within those groups there are working groups, which deal with particular aspects of the EP’s affairs. The political groups’ experts on particular topics gather in the European Parliament’s committees. There are currently 20 standing committees dealing with all aspects of European politics. These committees are meant to issue reports and opinions on the European Commission’s legislative proposals. Before these reports are forwarded to the plenary, they are negotiated within the committees. I am the coordinator of the S&D Group in the committee on regional development of the European Parliament. Moreover, I am a substitute member of the committee on industry, research and energy. Apart from the committees there are also so-called interparliamentary delegations and joint parliamentary committees. There are 41 such delegations, maintaining relations with countries that are neither EU member states nor candidates for EU membership. These delegations are composed of representatives of the EU as well as of the ‘third countries’ involved. I am the chair of the EP’s delegation to the EU-Chile joint parliamentary committee. Furthermore I am a member of the delegation to the Euro-Latin American Parliamentary Assembly and a substitute member of the delegation for relations with the United States. Just as in most EU member states, the plenary is the highest level at which MEPs gather. 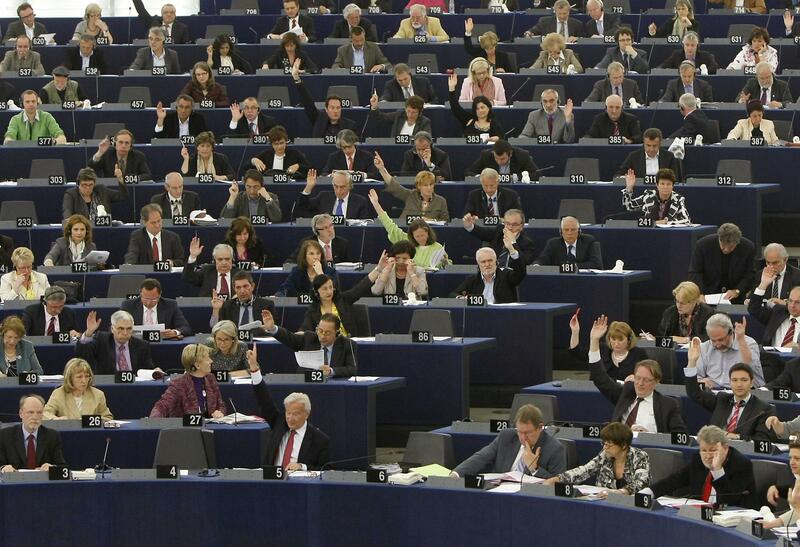 All members of the European Parliament meet in a general assembly. It takes place once a month from Monday to Thursday in Strasbourg. In addition to that, a mini-plenary session is held in Brussels four times a year. The plenary is an opportunity for the parliamentarians to report on their work in the committees. In a plenary debate MEPs can voice their views and opinions. The plenary is also used for voting on legislative proposals, regulations and decisions. All plenary debates are streamed online. If you look at the EP’s calender, you will find that different weeks are marked with different colours. Red is used for plenary sessions in Strasbourg and mini-plenary sessions in Brussels. Light-pink represents committee weeks, when all the EP’s committees meet simultaneously. Purple is used to indicate when the political groups gather in meetings and working groups. During green weeks parliamentarians spend time in their local constituencies, attending events and meetings with citizens. The ordinary legislative procedure (used to be the co-decision procedure) is the most commonly used method of EU law-making. It is used in nearly all fields of EU legislation. The legislative procedure begins with a European Commission proposal to Council of the European Union and the European Parliament. This proposal is reviewed in the relevant committee and discussed in two consecutive readings. If an agreement between Council and Parliament cannot be reached, a conciliation committee is founded which is composed of an equal share of representatives of both institutions. Once a compromise has been achieved, the new bill is voted on by Council and Parliament during a third and final reading. Here you can find the European Parliament’s schedule for the upcoming week. You can use the search function to navigate between all past agendas.